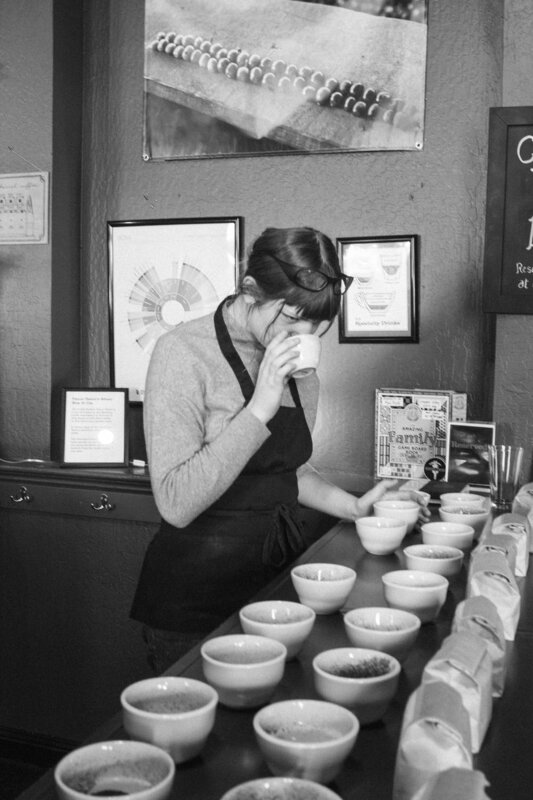 I started my career in coffee almost three years ago when I walked into the spacious quarters of Red Rock Coffee. Located at the heart of downtown Mountain View, Red Rock Coffee was everything I thought a coffee shop should be like. It was grand and had plenty of space for patrons to work, had an incredibly friendly staff behind the bar and of course served up a mean cup of joe. When I came to Red Rock to put in an application, I thought to myself "wow, this place is amazing but I may have to be a coffee connoisseur to be able to work here." Even with that mentality in my head, I made it to the final interview and got hired on the spot. My first few months working at Red Rock were filled with basic training and learning the ropes of opening and closing. I was a register girl but would always watch the baristas on my down time as they danced together to make beautiful cappuccinos, lattes and Gibraltar's. 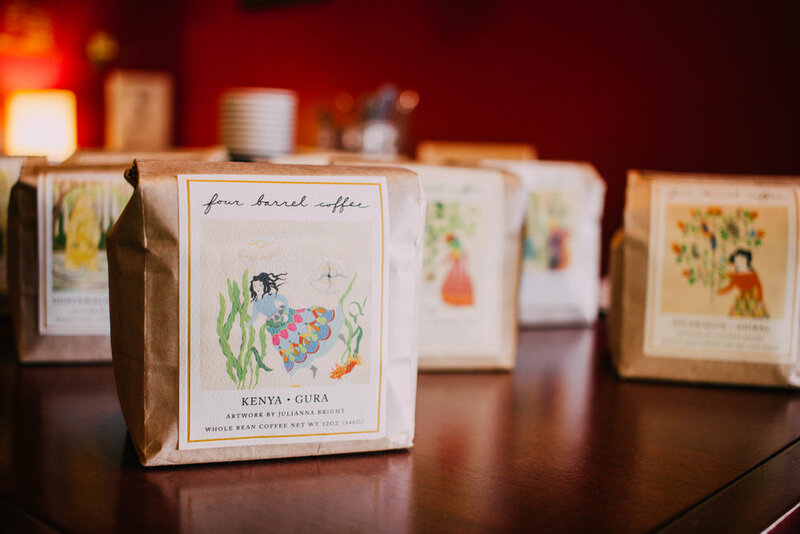 My fascination with the craft of coffee grew more and more each time I came into work, and soon enough I was on my way to Four Barrel Coffee to get proper training to become a fancy barista. My first trip to Four Barrel was an experience that meant so much to me. Being able to work one on one with a highly skilled coffee trainer was a little daunting at first, but as the day progressed I started to feel comfortable asking questions about extraction and milk texture with the expert. After my fist training process, I was off and running. I was put on bar the next week, which came with its high and low moments. Because I went to training I thought that everything I knew would immediately stick in my mind. That was not the case, however, and I struggled a bit at first being alone on bar especially during the rush periods. Throughout the next months, I became more confident in asking questions about things I still was unsure of and started to become more comfortable being alone on bar even when drinks were flowing in. Today, I am training others who come in with questions and always love teaching both coworkers and customers alike about coffee and what it means to be a "third-wave coffee shop". Before working at Red Rock, I only thought that coffee was a corporate thing and that Starbucks was the end all of the coffee world. Working at an independent shop has opened my eyes to a world filled with delicious coffee from around the world and beautiful people who share the same love of the craft as I do. 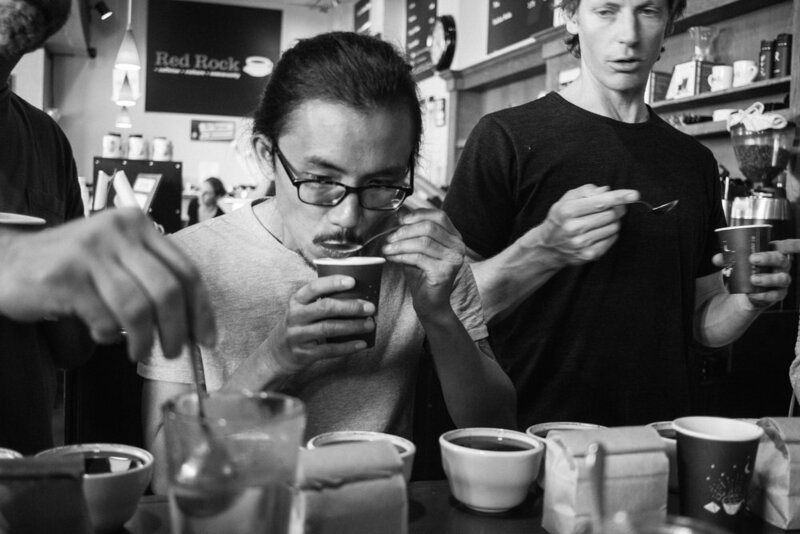 I will always attribute Red Rock to my passion for craft coffee and I hope that this blog opens others eyes to the vast and wonderful world of specialty coffee and coffee culture.